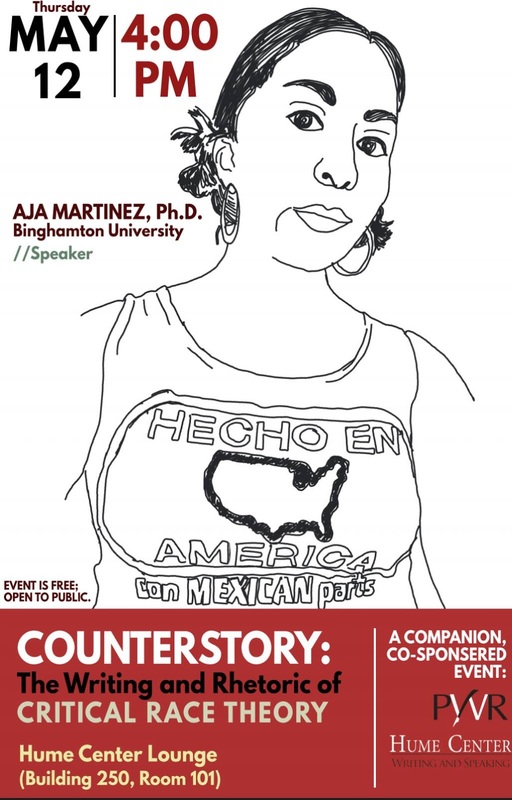 On Thursday, May 12, Aja Y Martinez will be talking as a part of a great speaker series coordinated by Adam Banks, the head of Stanford's Writing Program. 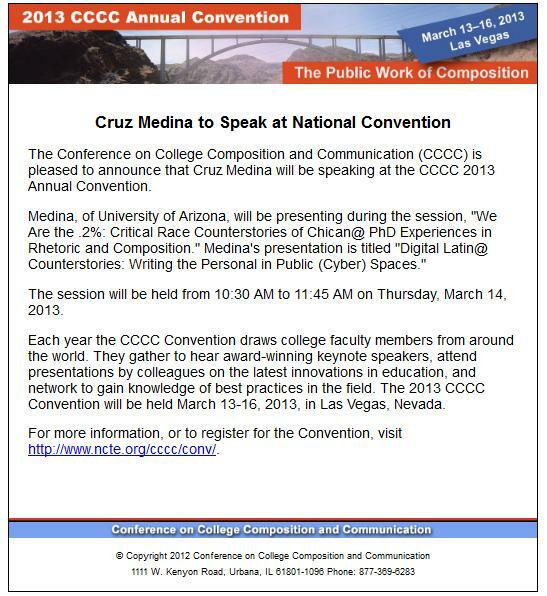 Below is the great poster. I'd encourage anyone to attend who has interest in the intersection of rhetoric and race, and interested in using storytelling to counter dominant narratives about people of color.